A few years ago, we decided to explore new horizons as we wanted to experiment the potential of these noble grape varieties, quite symbolic of the Loire Valley vineyards, in our soils and climate. Produced in accordance with the best wine-making traditions, our range of Loire wines boasts a discerning elegance and aromatic finesse, as well as the bright and fruity character so typical of the wines of the Loire Valley. Formerly known as a real locality, « Belle-Aisance » is today the symbolic name where we laid the foundations of our existing wine cellar about 50 years ago. Produced from vines of about 30 years old, this elegant and rich Chardonnay is made from a selection of ripped grapes grown on loam-clay soil with late mica-schists with partial-ageing in French oak barrels. This is a wine of character combining delicacy and aromatic complexity. Sole Fillets with mushrooms Morel sauce, Chicken with Crawfish, Grilled Fish with sauce, White Meats, Hard Cheeses. Estate selection of Chardonnay grapes grown on differents plots of our vineyard primarily on clay-loam soil. Made unoaked with 6 months ageing on fine lees; it is a fruity, fresh, crisp and pleasurable wine with just a bit of creaminess that layers over the stone fruit lingering taste. These characters combined give this Loire Chardonnay its unique profile. Aperitifs, Seafood Salads with creamy dressings, Fish and Seafood Terrine, Pan-seared Scallops, Classic Crab Rolls, Roasted Shrimps, Chicken Salads with grapes. 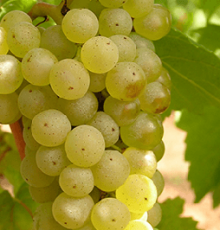 Estate selection of Sauvignon-Blanc grapes grown on our vineyard primarily on clay-loam soil. Aged around 6 months only on fine lees, the wine is fresh and lean with lots of tangy citrus and aromatic flavours leading the way. Perfect on any occasion, it is an easy-drinking, classic Loire Sauvignon meant to be drunk young. Aperitifs, Goat’s cheese Salads with lardons and figs, Grilled Asparagus with lemon, olive oil and feta, Smoked Seafood, Sushis and Sashimi, Pan-fried Salmon with Herbs.